WIN an autographed picture (print or email so it can be posted) of one of the HOME WORLD actors!!!! 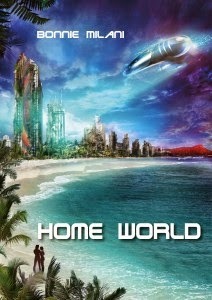 HOME WORLD by Bonnie Milani -- Centuries of ruinous war have left Earth little more than a dusty tourist world within the star-flung Commonwealth she founded. Now, amid the ruins of a post-apocalyptic Hawaii, Jezekiah Van Buren has found a way to restore Earth – Home World to the other worlds of the Commonwealth – to her lost glory. The most ingenious prince even the genetically-enhanced, Great Family Van Buren has ever produced, Jezekiah has achieved the impossible: he has arranged a treaty that will convert Earth's ancient enemies, the Lupans, to her most powerful allies. Once he has the treaty sealed, it will not only make Earth rich again, but it will grant him the chance to escape the Ring that marks him as Earth's next ruler. Once the treaty is signed, he will be free: free to create his own future, and free to marry Keiko Yakamoto, the warrior-trained woman he loves. His future and Earth's is assured. Assuming he can convince his xenophobic sister to accept the Lupan's alpha warlord in marriage before the assassin she's put on his tail succeeds in killing him. Assuming he can thwart another deadly uprising by the interstellar criminal organization called Ho Tong. And before his ruling relatives on competing worlds manage to execute him for treason. Jezekiah manages to stay one step ahead of his foes, until his Lupan warlord-partner reaches Earth. And these two most powerful men suddenly find themselves in love with the same woman. A woman who just may be the most deadly assassin of them all. T.W., you are just fantastic! What a great idea! ROCK 'em, darlin'!